Insurance is non-negotiable – Make sure that your roofing contractor has worker’s compensation and liability insurance, and to take it a step further, ask to see the certificates and call the insurance carrier to make sure they are legitimate. 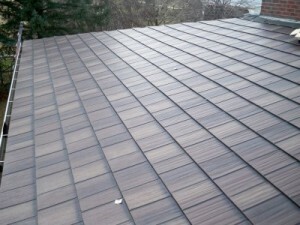 Know what material you want – There are many roofing options out there (asphalt, metal, slate, and wood, just to name a few) so make sure that you have an idea of which material you want before wasting time with those roofing contractors that don’t carry the option you prefer for your home. Go local – Make sure the roofer has an established business and reputation in the local community, since their warranty will only be good if they don’t move or vanish. Price isn’t everything – Make sure that you don’t make price the deciding factor, since you’ll only be paying more for roofing repair costs in the future if you go with the lowest bidder now. You can trust that the roofing contractors at ABC Seamless Home Specialists are among the most reputable you’ll find in Madison, WI. We are a fully licensed and insured company that has been serving local homeowners for more than four decades. The seamless steel siding that we offer is durable, strong, and attractive, and we back it with an ironclad lifetime transferable warranty, so you can feel confident your investment is protected. If you’re ready to partner with roofing contractors you can trust, contact ABC Seamless Home Specialists today. We are proud to serve homeowners in Madison, WI.